Animal rights activists who invade farms and meatworks in Queensland will face $652.75 fines. The fines will either be issued by police or biosecurity officers on-the-spot, or later after a review of evidence collected at the protest site. The Biosecurity Regulation 2016 will be amended to include this new penalty. The move was endorsed by the Animal Industry Security Taskforce which consists of officials from the Department of Agriculture, Police, AgForce and the Queensland Farmers Federation when they met last Thursday. Police Minister Mark Ryan said the new fines were a welcome new measure for police in combatting illegal and dangerous behaviour by reckless animal activists. 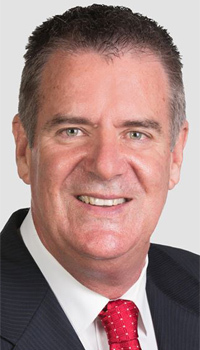 Agriculture Minister Mark Furner said as well as on-the-spot fines, protesters could also face the courts and possible jail time on trespass charges. “Animal rights zealots invading farms are a real threat to biosecurity and are putting their lives and the lives of farmers, workers and indeed the animals they claim to care about at risk,” Mr Furner said. Activists who move from location to location for multiple protests will face multiple $652.75 on-the-spot fines. Five people will face trespass charges in Toowoomba Magistrates Court on May 9 following an incident at a Millmerran feedlot last month. Hey, hang about now, this is the equivalent of a smack on the back of the hand with a fluffy bantam tail feather, not at all good enough!! This light penalty isn’t enough for the terror to the owners, workers and their families let alone the terror to the animals, biosecurity, break-in etc. Just goes to show the lack of respect this Govt. has for rural producers, typical eh! At least the other bunch are now talking tough. Remember, election looming!! This “on the spot” fine is an ADD-ON to the existing trespass laws. PLUS those choosing this grubby action will also face the potential charge of trespass that the landholder must request to proceed. This is standard, regardless of Farm or Home. Those in a position of influence should be endorsing this of the landholders instead of stirring noise for political traction. Well done to stakeholders that have worked together, ie. Agforce, QFF, Police, Dept of Agriculture.